India will hope to reverse its losing trend in the format against New Zealand in 38-year-old paceman’s final outing. Ashish Nehra is all set to bring the curtains down on his career – after 18 years of international cricket, 12 surgeries and numerous comebacks – in front of family and friends at the Feroz Shah Kotla, where it all started. The first Twenty20 International of the three-match series against New Zealand in New Delhi on Wednesday (November 1) will be the 38-year-old Nehra’s last outing in Indian colours. Interestingly, Nehra hasn’t turned out for India since the end of the T20I series against England in February 2017, and there is no real assurance that the man who made his debut for India in 1999 will be in the XI for the Kotla fixture. Especially considering the kind of success Jasprit Bumrah, Bhuvneshwar Kumar and Hardik Pandya have had in recent times. Virat Kohli's men did come out on top in a thriller in Kanpur to register a nail-biting six-run victory to clinch the One-Day International series 2-1, but when it comes to T20Is, India is yet to get the better of New Zealand, the No. 1-ranked side in the format. The visiting side has won five of six games against India to date, with one (in Visakhapatnam, 2012) called off due to rain. Also, of the seven T20Is India has played in 2017, it has won four and lost three, the last one against Australia in Guwahati in early October. Despite all that, though, India should go into this series as the favourite, with most of the players having featured in the ODI series win bar the two newbies – the uncapped duo of Shreyas Iyer and Mohammed Siraj – and KL Rahul, who was dropped from the ODIs after a poor run in the limited-overs series in Sri Lanka. The top three Indian batsmen, Rohit Sharma, Shikhar Dhawan and Kohli, who needs 36 more runs to become the first Indian and eighth overall to complete 7000 T20 runs, will be New Zealand's biggest concerns. The three have been in ominous form and the onus will be on them to do the major chunk of the scoring and build solid platforms for the likes of Manish Pandey, MS Dhoni and Pandya to cash in on. In the bowling department, Trent Boult and Mitchell Santner were excellent in the ODIs, while Tim Southee was good in patches. The track at the Kotla should be good to spinners and Yuzvendra Chahal, Kuldeep Yadav and Axar Patel will all be licking their lips to have a go at the in-form New Zealand batsmen. On the other side, New Zealand will be delighted that Colin Munro has finally done some justice to his promotion in the batting order. The aggressive batsman scored a 62-ball 75 in the last ODI, and he alongside Martin Guptill, who is 55 short of becoming the seventh New Zealand player with 10,000 international runs, will be instrumental to New Zealand's chances of posting a big total. The series will be extremely vital for Ross Taylor, a late addition to the squad. Taylor hasn’t featured in the T20I XI since New Zealand’s defeat to England in the semifinals of the ICC World T20 2016. Since 2013, he has scored just one 50-plus score (62 against South Africa in 2014) in 26 matches and a failure here could make Taylor’s future in the format tricky. The visiting side will also back Tom Latham, Colin de Grandhomme and Henry Nicholls to do the dirty work in the later stages of the innings. Latham, in particular, was in excellent form in the ODIs as he scored 206 runs in three games, including a half-century and an unbeaten century. And Kane Williamson, the captain, will be expected to hold the innings together, while the big hitters look to bat around him. In the bowling department, Trent Boult and Mitchell Santner were excellent in the ODIs, while Tim Southee was good in patches. 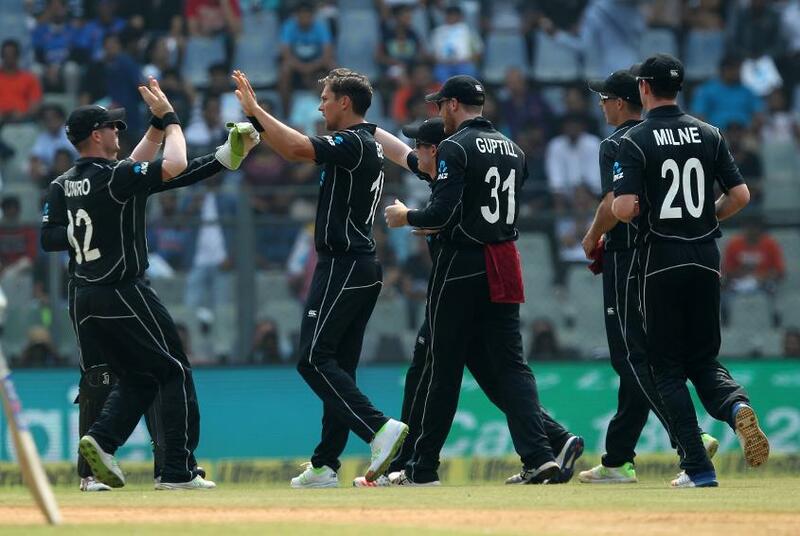 New Zealand had gone in with a similar bowling attack throughout the ODI series and the inclusion of Ish Sodhi, the leg-spinner, might bring much-required variety. The Delhi government has put a ban on the use of diesel generators during the match, but if Nehra does get on the field, the fans are bound to make the atmosphere electric anyway. India will hope Nehra’s last game is a happy one for the team, while New Zealand will plan for the opposite. India: Virat Kohli (capt), Shikhar Dhawan, Rohit Sharma (vice-capt), KL Rahul, Manish Pandey, Shreyas Iyer, Dinesh Karthik, MS Dhoni (wk), Hardik Pandya, Axar Patel, Yuzvendra Chahal, Kuldeep Yadav, Bhuvneshwar Kumar, Jasprit Bumrah, Mohammed Siraj, Ashish Nehra (only for first T20I). New Zealand: Kane Williamson (capt), Mitchell Santner, Ish Sodhi, Tim Southee, Ross Taylor, Trent Boult, Tom Bruce, Colin de Grandhomme, Martin Guptill, Matt Henry, Tom Latham (wk), Henry Nicholls, Adam Milne, Colin Munro, Glenn Phillips.